Hi everyone, Audrey here with this weeks post and some announcements. As of March 31 to April 17 the office at YCW will be unattended. Any orders place on the website during that time will not be filled unfortunately as we are on a long deserved holiday. We will process any orders from April 17th onward. We truly hope this doesn't cause too much inconvenience. I'm lucky to have such beautiful friends who I get to share creative time with. One of those friends is Steph. 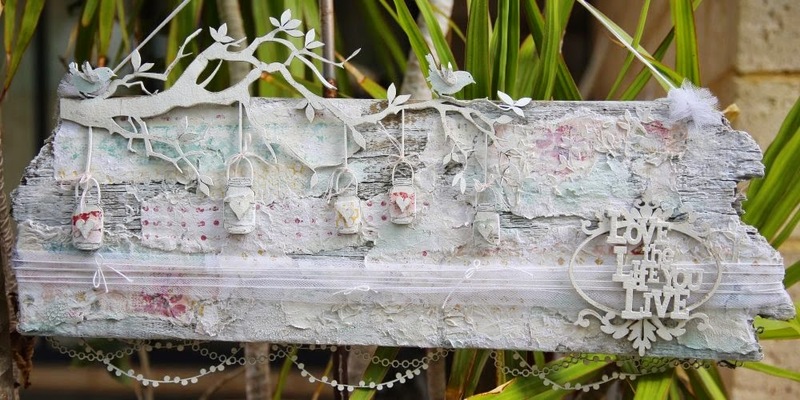 She doesn't get to create very often and when we did happen to get some time together she created the most beautiful shabby wall hanger using Your Creative Wings chippy. 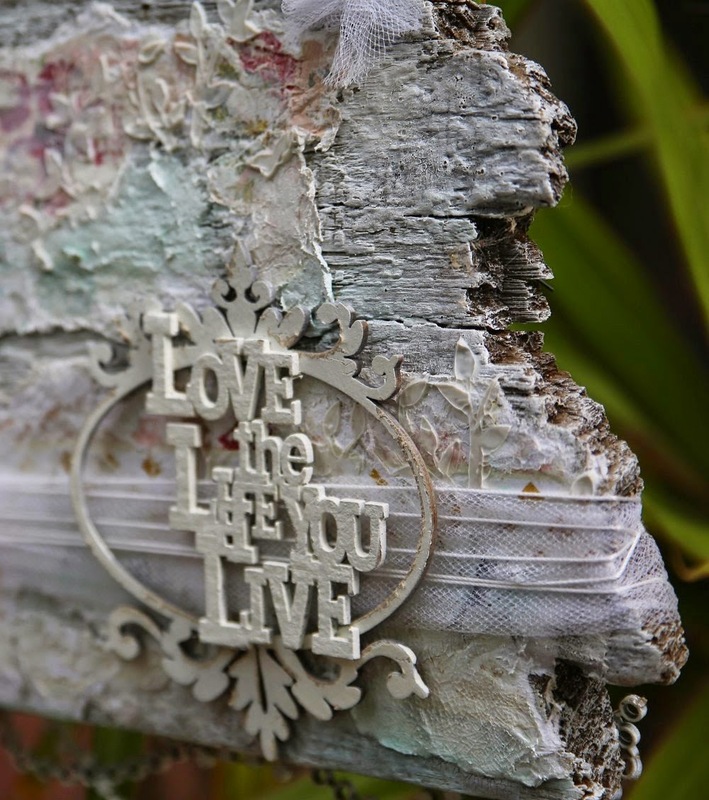 This little piece has hung on my dresser for quite some time now because each time Steph visits I mention she should take it home, but by the time we've nattered, coffee d and created, we forget, which by the way I don't mind at all. I think you'll all agree that maybe that means it should stay LOL. How this little piece came about is that we just have this thing for old wood and I just happened to be on a walk one day and spotted some old planks. Well I couldn't just get some for myself when I knew my girls would like the look of them too. When Steph and I got together the next time I gave her her plank of wood and this is what she created. 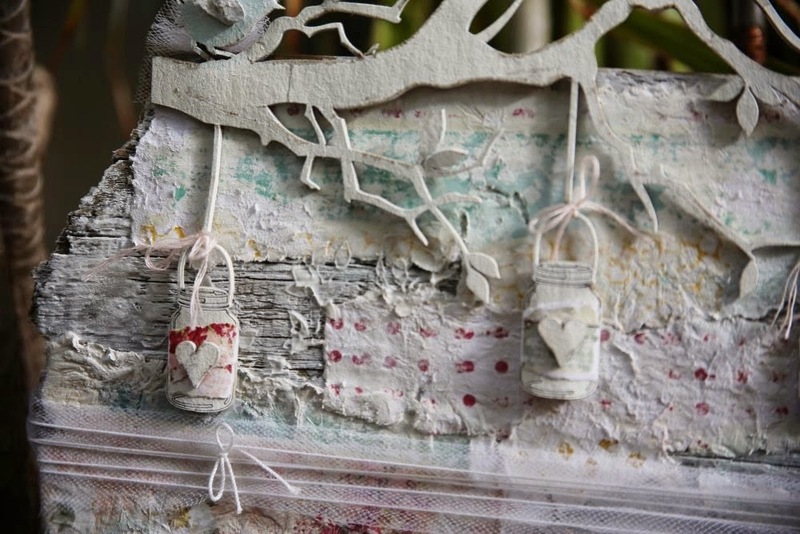 I love how she's decoupaged various ripped pieces of patterned paper for the background and whitewashed over them to dull the brighter colours using white paint. The added tule and bows at the bottom add even more softness to the piece. 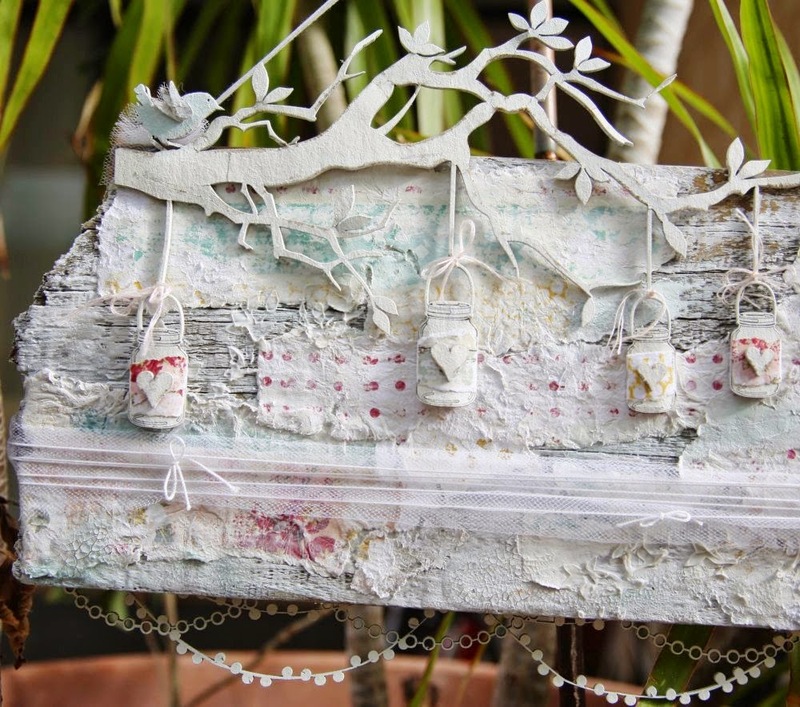 How she's split the wings of the bird and added dry brushed white paint over the distressed wood. Steph's added some depth to the chippy jars by curving them slightly and added extra texture to the background with stenciled texture paste and crackle paint. 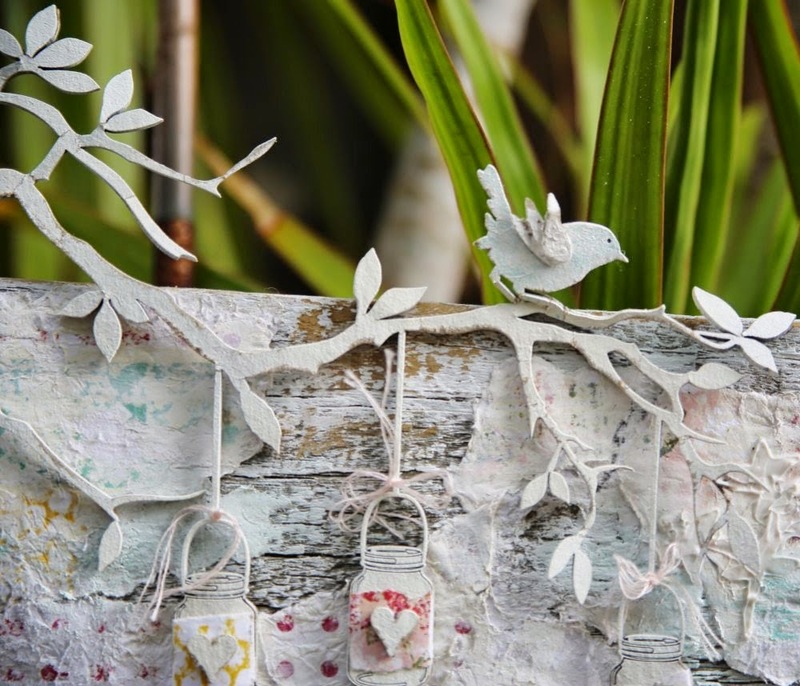 Your Creative Wings products used : Birds on a Branch Lrg YCW3021, Quote - Love the Life You Live Sm YCW1017, Ornate Frame 11 YCW6011 and Paper Chain and Lights YCW11005. Thanks so much for my little pressie Steph ;) I love it sooooo much.